Tayto Park have revealed the line-up for their new family-friendly festival. Fun Fest, will play host to a heap of top Irish and international acts this summer at Tayto Park. On Saturday 29th June, and Sunday 30th expect to see the likes of Hudson Taylor, Atomic Kitten, Liberty X, The Blizzards, Brendan Murray, and Nathan and Jake Carter, plus many more. 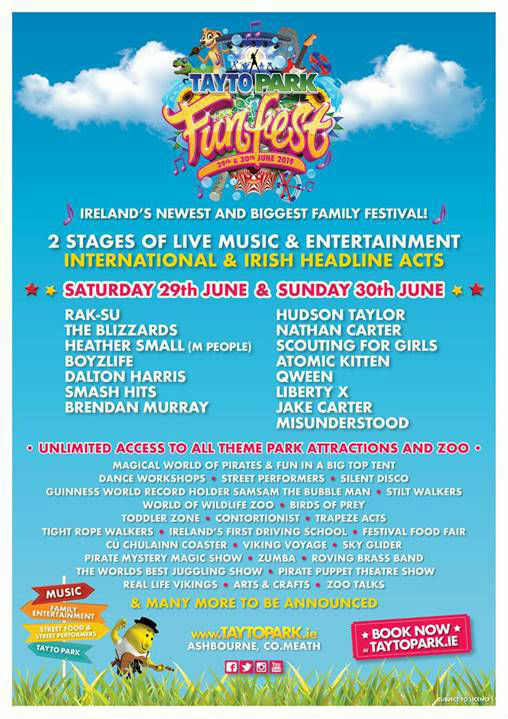 Prices for the festival are priced at €55 per day, and this includes entry to the park, wristbands for all attractions, plus entry to FunFest. Head over to the Tayto Park website (here) to book tickets. As well as top musical acts, there will also be fun for all the family including street performers, a toddler zone, dance workshops, trapeze acts, and everything else besides. Check out the poster, for all of the attractions that will be on offer. Nathan Carter will be a special guest on the Sunday evening of FunFest, playing some of his most popular hit songs with a host of entertainers. 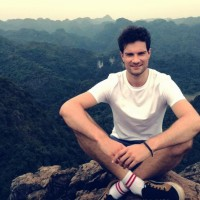 Speaking at the announcement, Nathan said "I’m delighted to be part of the first FunFest and as well as taking to the stage on Sunday 30th June, I am determined to finally experience the world renowned Cú Culainn rollercoaster."